Geriatric Depression is a mental and emotional disorder affecting older adults. According to the National Council on Aging, it affects about 6.5 million Americans aged 65 and older. However, only around 10% receive treatment for depression. Depression can happen to any of us at any age, regardless of our background. The following are known to be risk factors for developing geriatric depression. 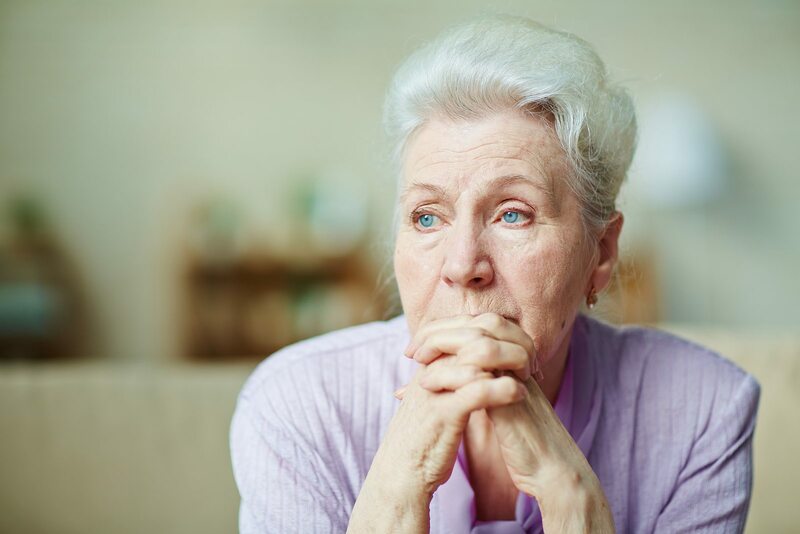 Depression in older adults can be hard to diagnose, but knowing the risk factors can lead to early identification. Because of their advancing age, many patients’ doctors and families miss these signs of depression. Older individuals often experience the lost of a spouse, friends, and siblings. That along with retirement and relocation can also lead to the development of Geriatric Depression. The hallmark signs of geriatric depression mimic those of general depression. Many individuals prefer to hide their symptoms, so friends and family may be unaware they are struggling at all. If a parent or relative is at thought to have an increased risk based on the factors listed above, it is important to pay attention to his or her behaviors and take note of any changes, sudden or gradual. While only a licensed medical professional can provide a diagnosis and treatment plan, a loved one can offer emotional support and encourage the sufferer to seek help if needed. It can also be a relief for geriatric depression patients simply to have someone listen to their feelings and concerns. There are several treatment options available for those with geriatric depression. The most common methods include medication, psychotherapy, or electroconvulsive therapy or other newer forms of brain stimulation. Sometimes, the patient’s doctor will suggest a combination of these treatments. If you or a family member suffers from geriatric depression and you’re interested in making a difference, consider applying for one of our clinical trials. We conduct these studies to test the effectiveness of experimental treatments for a variety of disorders, including depression. Your participation could help you and the countless others with similar struggles.